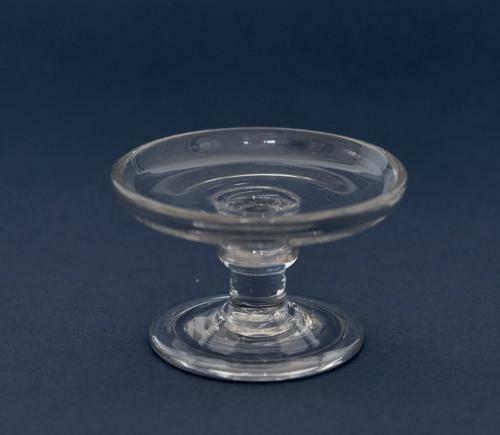 18th century English glass tazzas comprise of large flat circular glass trays often on a Silesian or knopped stem with a domed and folded foot. 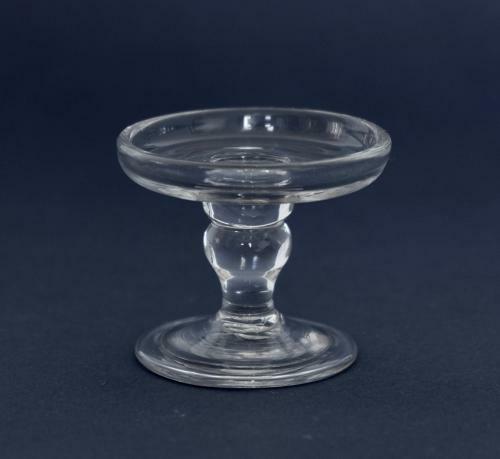 These stands were used for serving jellies and syllabubs in small jelly or sweetmeat glasses. 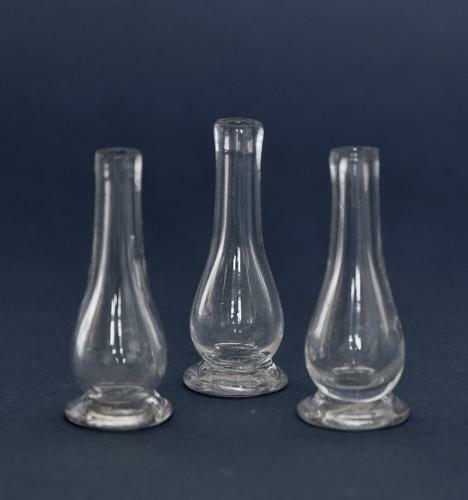 The tazzas were often placed in pyramid formation graduating in size and surmounted with a master sweetmeat glass. 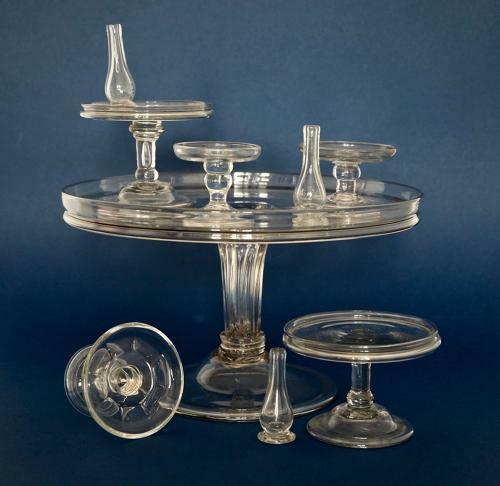 The jelly glasses would be placed around these stands and interspersed with small bud vases or flower-bottles. Tazzas were often a feature in the 18th century coffee houses and confectioners. 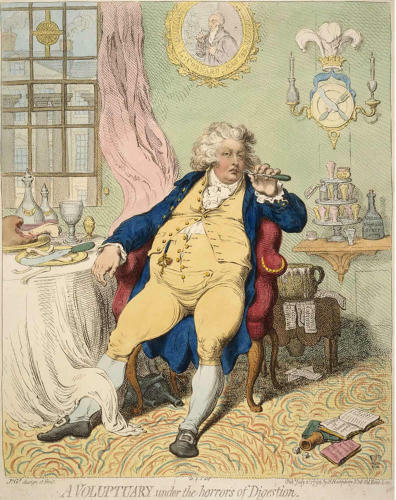 An engraving by James Gillray entitled 'A Voluptuary under the Horrors of Digestion' dated 1792 shows a pyramid of tazzas displaying jelly glasses. See illustration 8. Smaller versions of these are commonly referred to as patch stands. The accepted definition of a patch stand is a small circular low stand with a flat top and a pedestal or knopped stem on a folded foot. In the 17th century beauty patches were used by ladies to cover facial blemishes or scars. Ladies complexions could often be disfigured or scarred by disease such as smallpox or possibly damaged by the lead based face powder applied in order to achieve the much sort after ‘pale complexion’. Patches were made from expensive materials such as silk or velvet and came in a range of shapes and sizes such as crescents, stars and hearts. It is believed these patch stands were used by ladies to place their beauty patches on. By the early 18th century beauty patches were worn more as a beauty or fashion statement rather than covering facial blemishes. The question is, when does a patch stand become a small tazza for use on the dining table? This is a little more problematic as, unfortunately, there is no defining size to denote either. 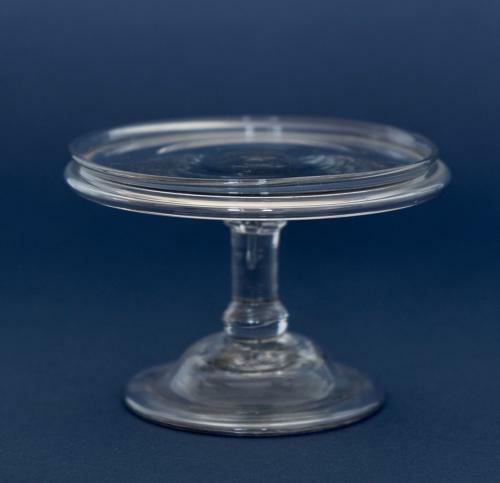 I believe the small tazzas with tray diameter of just over 10 centimetres (see illustration 2 & 7) would probably have been used on the dining table, I have seen an 18th century painting depicting numerous of these small tazzas bearing fruits and nuts. Arguably, the very small stands were probably too small for use on the table and, therefore, more likely to be patch stands. 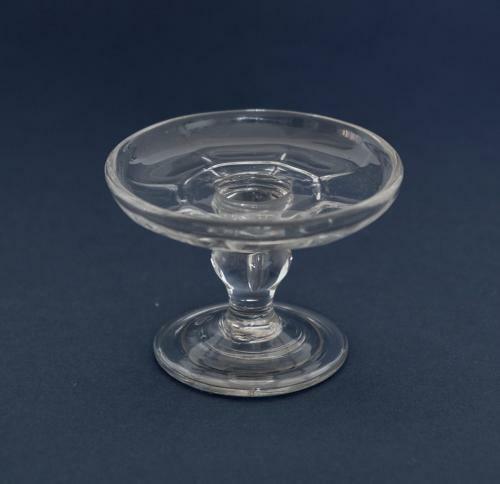 Whatever your opinion on the use of these delightful little glass stands, they are popular amongst glass collectors and provide an fascinating insight into the dining and cosmetics habits of the eighteenth century.